New donor acquisition happens when you have inspiring, infectious online events. For higher ed, the infectious event is a giving day. For most other nonprofits – especially smaller nonprofits – it might be a regional or national event like #GivingTuesday. And what do these events cost? 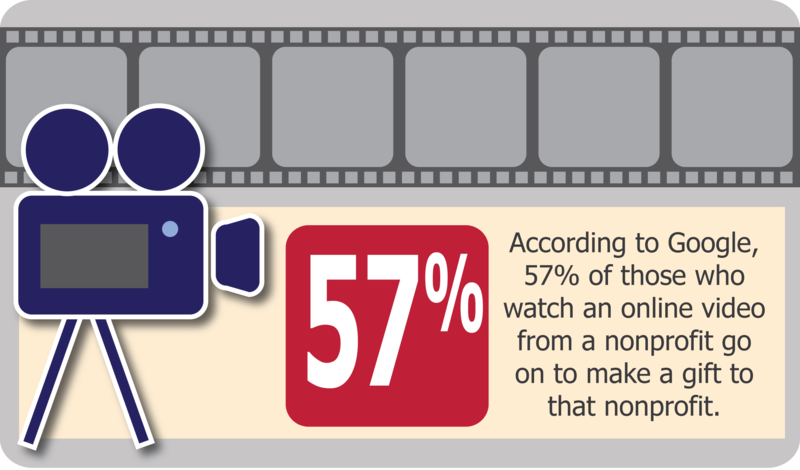 Great content, especially creative video, is almost always worth the investment for fundraising. For small nonprofits who are just looking to make a splash (less than 100 gifts or $10,000 raised), the cost can be next to nothing (excluding staff time, of course). Schedule three to five emails, coordinate those emails with your social media efforts, consider a mail piece to your most engaged donors, connect with your online ambassadors (or start a small online ambassador program) to spread the asks and content online …all of this can be done in the $0 to $5,000 range for nonprofits. For the mid range nonprofits – think regional NPOs, small healthcare organizations, and smaller colleges who are hoping to reach close to 1,000 donors and at least $100,000 during an event – you’re going to want to do most of the same things the small nonprofits do, but on a larger scale. To grab the bigger donor and dollar numbers, you’ll need a more thought out strategy, more well-produced content to share on social media, a bigger and more engaged group of online ambassadors, and more involvement from you major gift program. Between content production, a mail piece, and strategic planning, expect to spend between $25,000 and $50,000 if you’re looking for six figure dollar results and/or four figure donor results. For the giants – think large colleges and universities, large healthcare organizations, international aid organizations, animal welfare groups, and environmental NPOs who look at anything under seven figures as failure – real investment is needed. Without naming names, the university behind one of the most successful higher education giving days in history invested north of $300,000 in technology, outside strategic counsel, and other related costs. And they raised nearly $7 million from approximately 5,000 donors. High retention happens when you are stuck in the minds of your donors throughout the year. When your organization’s work is burned into the psyche of your donors, they are ready and willing to act on appeals as they arrive in their inbox or their mailbox. And for a growing majority of Americans, one of the best ways to remain stuck in their minds is through good social media strategy. (Yes, the majority of Americans are now active on social media) Easier said than done? Not necessarily, as long as you’re willing to invest in good content strategy and production. To do content marketing well requires at least one full time position dedicated to the planning and production of content. If your digital strategy is a larger, more sophisticated effort, this content producer should be part of a team and under a more senior director-level position tasked with managing the overall digital strategy. So, for smaller organizations, think $50,ooo/year with an additional $5,000 to $10,000 for equipment the first year. If yours is a larger organization and you’re not spending at least $100,000 on digital content marketing, you’re probably losing several times that amount in easy-to-grab fundraising opportunities. Major gift donors are online and at shockingly high rates. But don’t take my word for it. Instead, check out this 2011 Fidelity Investments study that tells us 85 percent of millionaires use social media with the median age of those social media users set at 56. We’ve written about tactics to engage your highest capacity donors online. Read a couple of those posts here and here. But for the sake of this post, how much should you invest for digital engagement of major gift donors? First, make sure you have a strategy in place. Typically that involves an outside firm (like BWF_social) and runs from about $15,000 to $50,000 depending on the work done. As part of that strategy, you’ll want to be sure your gift officers are properly trained on using digital media, you’ll need good content to share with your major donor community, and you’ll want to appropriately leverage the online communities of willing major donors. (In other words, you’ll want to build a major donor online ambassador program). Many organizations can do this within the aforementioned $15,000 t $50,000 while some of the larger more sophisticated nonprofits will want to invest six figures+ on a digital strategy for major donors. Of course, since it is for major gift work, it shouldn’t take long for your organization to enjoy a significant return on any smart investment for digital major gift work. Justin Ware is the Director of Interactive Communication at BWF_social where he helps clients build digital media strategies for fundraising success.